Ranhill Holdings Berhad, a energy and water company is scheduled to be listed in Main Market of Bursa Malaysia on the 18th Feb 2016. The listing is basically a reverse takeover (RTO) of Symphony House Bhd which would pave the way for the back-door listing of the group on the Main Market of Bursa Malaysia. This is done following its failed initial public offering attempt in July 2013 on disclosure transgression issues. The Initial Public Offering (IPO) consists of 475 million shares at an indicative IPO price of RM1.70 per share at RM1.00 par value. Out of these, 354.18 million shares will be offered to institutional investors, 65.99 million shares will be offered to existing shareholders of Symphony House Bhd, 36 million shares to the eligible individuals while the remaining 18.83 million shares will be offered to Malaysian public. The institutional price will be determined by way of book building while for the retail application, it is payable at RM1.70 upon application. If the final retail price is lower, the difference will be refunded accordingly. The proceed from the IPO (RM637.5 million) will be used for redemption of Islamic Medium Term Notes & Sukuk , acquisition settlement, business expansion to China and listing expenses. Ranhill Holdings intends to pay 50 to 70 percent of profit after tax as a dividend. For financial year end 31st December 2106, Ranhill Holdings intend to pay a minimum of 70% of profit after tax as a dividend. Based on At an IPO price of RM1.70 and 2014 figures, the dividend yield is in between 4.20 to 5.88 % or 7.14 – 10 sen per share. The table below is the financial summary of Ranhill Holdings. ** annualizedCIMB Investment Bank is the principal adviser and global coordinator while CIMB Investment Bank & Maybank Investment Bank are joint bookrunners, joint managing underwriters and joint underwriters of the IPO. For those who are interested in Ranhill Holdings IPO, you may subscribe at ATM machines or via Internet Banking. The retail subscription period is opened until 29th January 2016 at 5pm. Tentative balloting date is on 3rd February while the allotment date is on 17th February 2016. 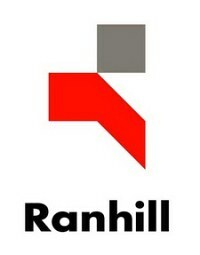 Ranhill Holdings stock name in Bursa Malaysia is “RANHILL”. View Ranhill Holdings prospectus in Bursa Malaysia webpage. What do you think about Ranhill Holdings IPO? Are you going to subscribe? alan, I think the risk is there due to the issue in 2013. Some investors may avoid it, including me. Financially, the company seem OK but the profit drop in the recent FPE compared with previous year. Consider also the current situation of stock market, so think carefully before you jump in.